Cyan Forensics was delighted to attend the second GCC Forensic Science Conference, in Abu Dhabi, with our partners mh Service. 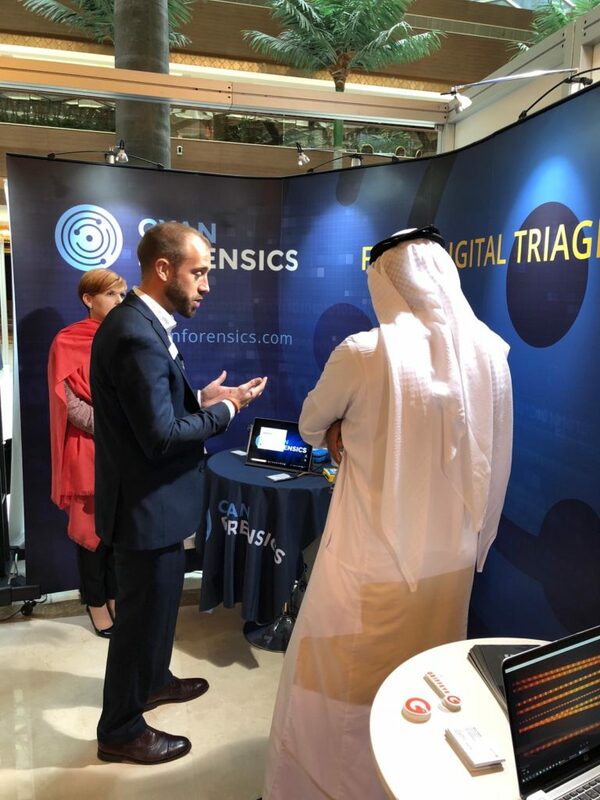 This was the first time Cyan Forensics had exhibited in the Middle East, and the event saw many visitors from around the region keen to learn about our unique rapid triage capability. We enjoyed learning about the challenges faced by law enforcement agencies in the Middle East, while also hearing about how they plan to add capability. Opening the event, Director-General of Abu Dhabi Police Maj. Gen. Maktoum Al-Sharifi reminded us that security coordination and cooperation in the criminal evidence field amongst GCC member states is important for enhancing future forensic services, stability, and help combat crime. The Abu Dhabi Police supported event ran from 30 to 31 October, bringing together forensic experts from the GCC, wider Middle East region and the international community.